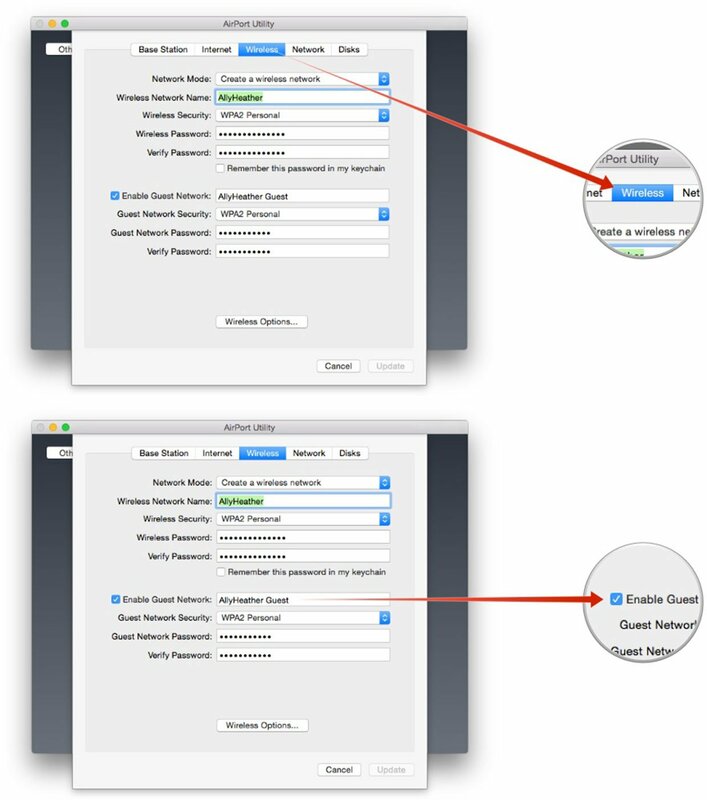 Mac Help: Creating a guest network. What’s the best way to limit [a guest’s] access to my Wi-Fi? Here’s the scenario: A friend or relative is visiting and wants Internet access, which you’re happy to provide. But for whatever reason, you have misgivings about giving them open access to everything else on your home network. What should you do? There’s a solution, if you have an AirPort Extreme, AirPort Express, or Time Capsule of relatively recent (2009-later) vintage. There are myriad reasons for wanting to isolate guests from the rest of your network. Maybe you have open computers sharing files you’d prefer not to have get into the wrong hands. Maybe you don’t want them wasting your precious (and expensive) inkjet cartridges printing out cat pictures off the Internet. Or maybe you just can’t be sure that friends and relatives who will be accessing your home Internet connection are going to exercise the same common sense that you do, and may make themselves susceptible to malware, adware, and other nefarious Internet problems that you’d prefer not to introduce to the rest of your computers. If you’re using an AirPort Extreme or Time Capsule, you’re in luck, because Apple’s AirPort Utility enables you to create a guest network that still provides users with access to the Internet — without compromising the security of other devices. Before you begin, take note that if you have your AirPort device set up in “Bridge” mode — which defers off things like DHCP and network address translation (NAT), protocols necessary for devices on your network to get an IP address — then this won’t work. So it may take some rejiggering of your network setup to get it all in order, and that may mean reconfiguring your cable modem. Type Command + Space on your Mac’s keyboard to bring up Spotlight Search. 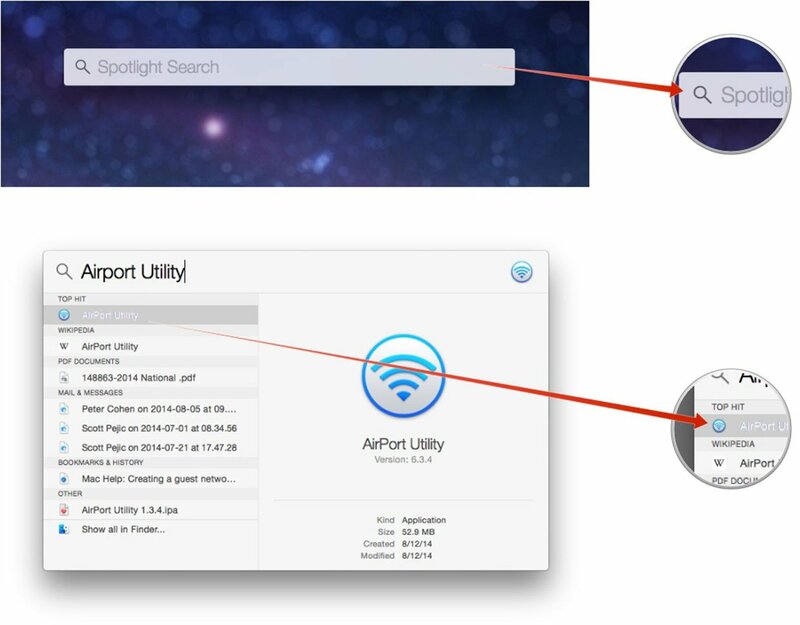 Start typing in Airport Utility and click on it or hit Enter on your keyboard when it appears. Click on the picture of your main Airport Base Station. Click the Edit button in the popup menu. Give the guest network a name. Select the appropriate security protocol from the Guest Network Securitypop-up menu, then enter a password. This entry was posted in MacBiz and tagged guest network, How To, Mac. Bookmark the permalink. Apple opens up iWork for iCloud apps to anyone, no need to own an Apple device. French engineer wrings music from obsolete computer drives.